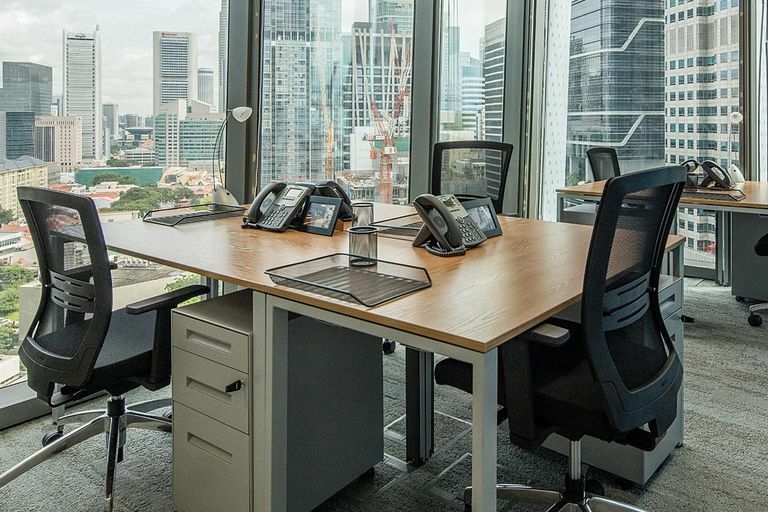 What Does Regus Businessworld Offer? Regus Businessworld's professional business lounges are a convenient alternative to working on the go at Wi-Fi hotspots like your local coffee shop. With more than 3,000 locations worldwide, Regus offers prepaid access plans to any Regus business center worldwide through its Businessworld membership. Membership is worth it for frequent business travelers and for people who work from home but prefer to greet clients in a professional setting. Regus offers three tiers of Businessworld membership options: Gold, Platinum, and Platinum Plus. All the plans include unlimited access to any of the company's business lounges with a monthly subscription. All plans include access to 3,000 business centers in 900 cities and 120 countries worldwide. Gold membership offers unlimited walk-in access to business lounges and cafes with free internet and refreshments. Platinum membership includes access to a coworking space. Platinum Plus add a private office for those times that privacy and focus are all that matter. Memberships are available for five, 10, or unlimited days of use per month. One of Regus Businessworld's professional lounges in New York is small with four club chairs and one mobile desk, but it's still more space and a more professional environment for working than a crowded coffee shop or bookstore. Access to business lounges like this is convenient for frequent travelers, and larger spaces are available. Regus also rents out other spaces in the same large office building, so suited people walk about in the halls. Occasionally, you can hear a muffled meeting going on in the room next door. For some, the background noise and motion might be irritating, but being among other people while working on your own is the main reason to use a business lounge instead of your home office—you're not as isolated, and it's a good change of scenery that could make you more productive. For travelers, it provides calm in the midst of hectic travel schedules. The kitchen area is equipped with tea and coffee-making equipment. The coffee is great. The internet access is wireless, high-speed and secure. Visiting the Regus business lounge is a nice change of pace—an office away from work or travel where you can feel more businesslike. If you travel frequently and need reliable places to work that are more private and secure than public hotspots, you would likely find value in any of the three plans Regus offers. What's Your Best Internet-on-the-Go Option? How Can You Create a a Functional Office Layout for Two? Want to Know About Remote Network Access? How is Wi-Fi Useful for Smartphones?